I wrote this post six months ago. I am sad to report, at least in my observation, that this concept is not catching on. The customers aren’t interested. They don’t care. They don’t get it. 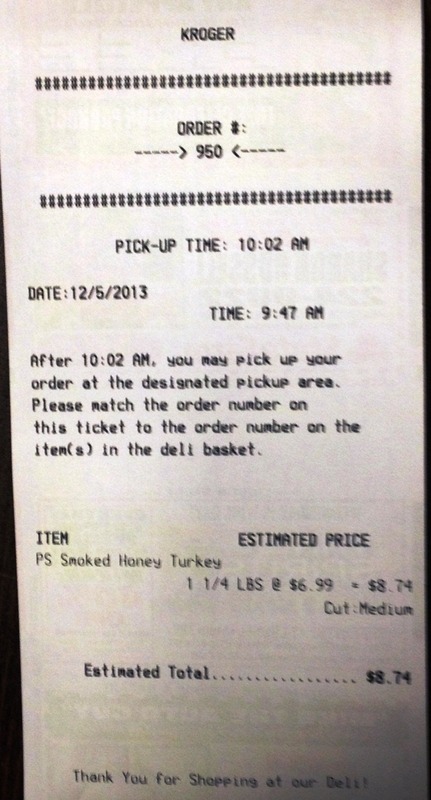 I placed an order at my favorite Kroger one day and it was order #800. Two days later I came back, placed another order, and it was #804. A run rate of 2 orders per day. 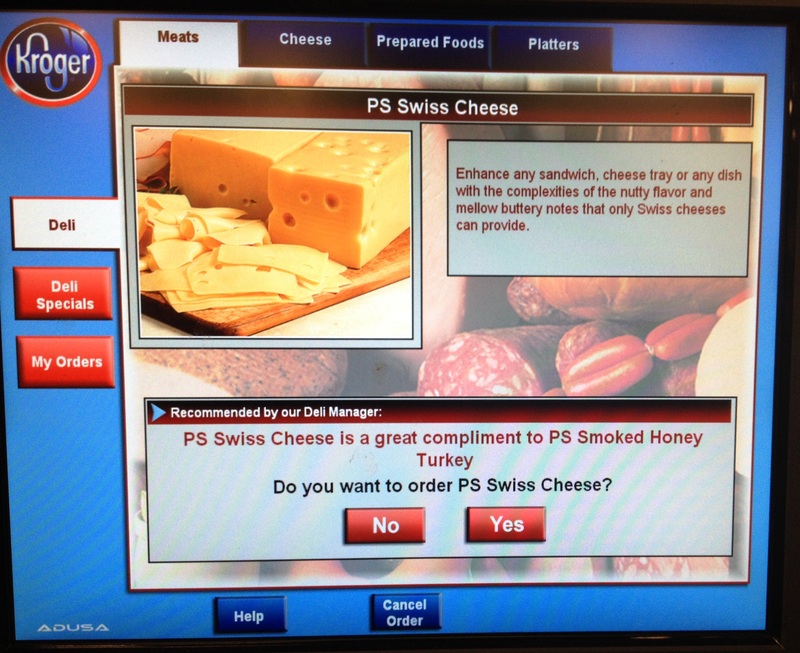 The employees at the deli counter don’t seem to be aware of the kiosk anymore. 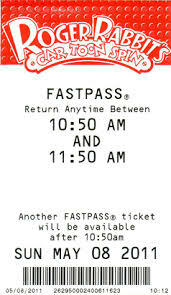 I now have to take my ticket to the deli counter and show them what I ordered from the kiosk 15 minutes earlier. They’re clueless. I give it another three months before Kroger shuts the thing down. That’s a prediction. By October 1 this deal’s done. Well, what do you know? 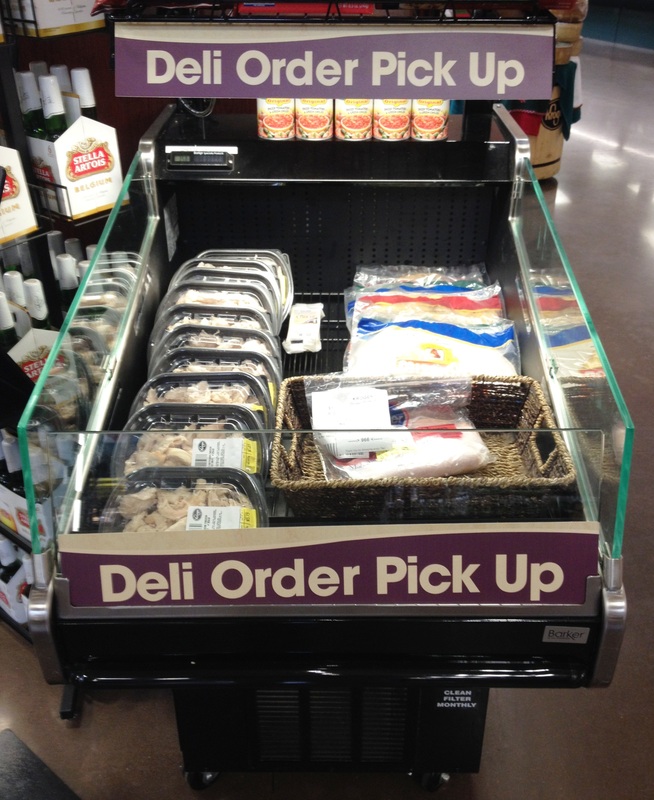 It’s October 3 and the deli kiosk is still alive. I bet the Under and I lost. 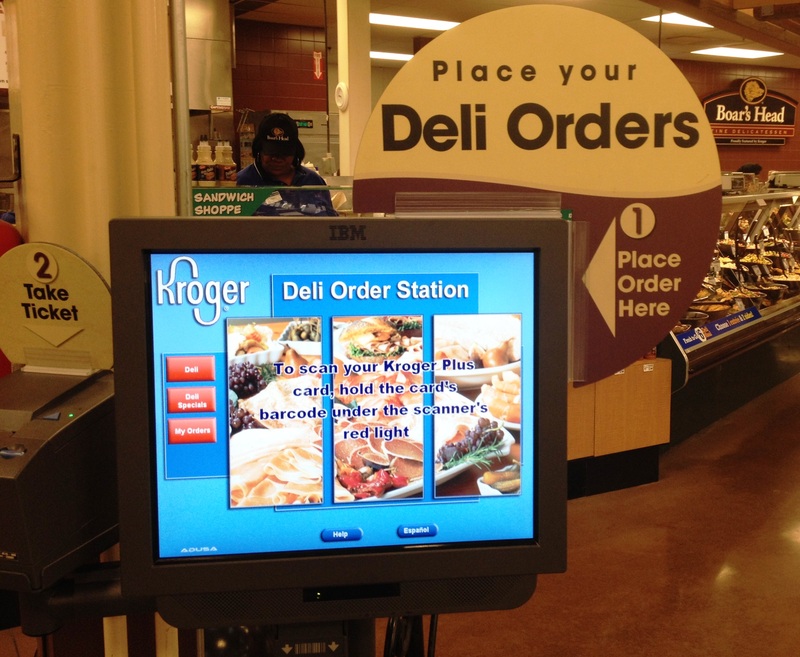 I still only see the kiosk in one Kroger store in my fair city, and I shop at several different ones, but the little kiosk that could is still hanging in there at the spacious Chenal location.